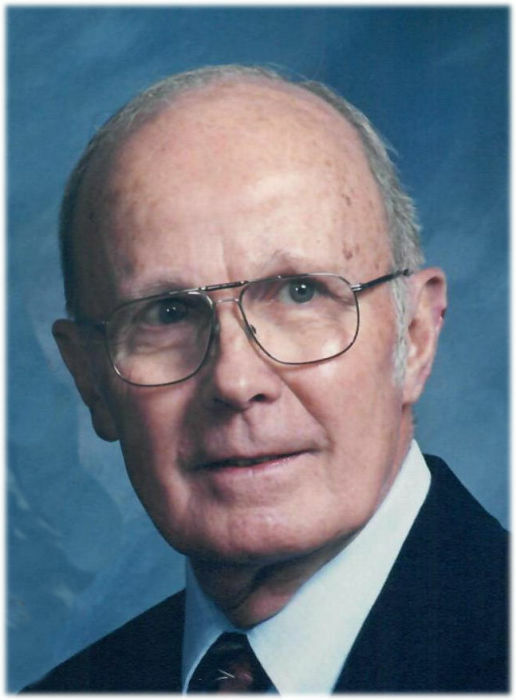 Jack Lee Frysinger, Sr., 92, of Van Wert, passed away at 12:15 a.m., Friday at the CHP Inpatient Hospice Center in Van Wert. He was born on July 8, 1926, in Rockford the son of the late Charles E. And Blanche (Ralston) Frysinger. On June 23, 1944, he married the former Ruth E. Pond who survives. Other family survivors include his two sons, Jack Lee (Deborah) Frysinger, Jr., of Naples, Florida and Richard D. (Tina) Frysinger of Amelia, Ohio; a daughter-in-law, Teresa Frysinger; twelve grandchildren, Cali Gregory, Heidi Huffman, Camille Garbash, Susan Ford, David Frysinger, Jason Frysinger, Joel Frysinger, Erin Frysinger, Carisa Lanning, Cayla Frysinger, Kyle Frysinger and Shelby Frysinger; and fifteen great grandchildren. Besides his parents, Jack was preceded in death by a son, Gary Wayne Frysinger; a brother, Rex Frysinger; and a sister, Vivian Clay. Jack was graduate of Rockford High School where he was active in various sports. He was a veteran of the U.S. Navy. He had worked at the Railway Express Agency for 27 years, Eaton Corporation and at Derry Drugs. He was a member of Trinity United Methodist Church where he was head usher for 25 years and had served on several boards and committees. Jack had coached Little League and Pony League baseball for over twelve years and also Bitty Basketball at the Van Wert YMCA. He also officiated high school basketball for many years. Services will be held at 10:30 a.m., Monday, December 10, 2018, at Trinity Untied Methodist Church in Van Wert with Rev. Paul W. Miller and Rev. Kurt Tomlinson officiating. Interment will follow at Van Wert Woodland Cemetery where military rites will be provided by the combined honor guard of the American Legion and Veterans for Foreign Wars Posts in Van Wert. Calling hours are 1 - 6 p.m., Sunday at Cowan & Son Funeral Home and one hour prior to services Monday at the Church. Preferred memorials are to the American Heart Association.